Scared immigrants, secret tapings in Chinese restaurants, the silent Mr. Yee, endless subpoenas and the caring Rudy Giuliani: just another New York City story. In this excerpt from his recent autobiography, Dr. Joseph T. Wells, CFE, CPA, founder and Chairman of the ACFE, writes about a case early in his FBI career that taught him more than investigative techniques. For years, there had been rumors that Herman Simon Klegmeir, district director for the Immigration and Naturalization Service (INS) in Newark, N.J., was on the take. The INS was divided into geographical districts that covered the entire country. Any foreigner coming into the United States was, in essence, under the authority of the local district director. The alien's original port of entry or his final residence determined his or her INS district. New York and Newark were the largest INS districts in the U.S., followed by Miami and Los Angeles. The district director's office handled all foreigners' requests to enter the U.S. The director had ultimate decision-making power, but as a practical matter, the staff handled such things. 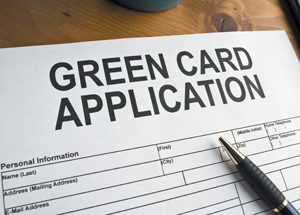 Aliens coming into the U.S. could enter on a visa, but the ultimate was a "green card" (by the way, I have no idea where that name came from; the cards were not green), which gave them the right to stay in the U.S. for extended periods without being citizens. The investigative theory was that Klegmeir was demanding bribes to issue green cards. Boyd Howell, a colleague of mine, had trained two INS agents who agreed to work in New York's Chinatown to see if they could gather more information. The underground in Chinatown was effectively controlled by five "tongs" — the Chinese equivalent of Mafia families. Over time, the two INS agents had developed a relationship with Benny Ong, a mainland Chinese native who was reputed to be the head of one of the tongs. Each time the INS guys met with Ong, they wore body recorders to capture the entire conversation. These meetings had to be transcribed, and that is where I came in. The steno pool was normally in charge of the transcriptions, but it had fallen months behind, and the head stenographer had complained to Howell that the conversations were almost impossible to decipher. So Howell loaded me up with a pile of tapes, and my job was to transcribe them word for word. It took a long time to do. I thought maybe I was going to pull my hair out; the meetings invariably occurred in a Chinese restaurant with much background noise — clinking glasses and the like. Adding to the difficulty was Ong's heavy accent. After the agents had developed some rapport with Ong, he confirmed that he had also heard that Klegmeir was on the take. More specifically, rumors on Mott Street (one of the main thoroughfares in Chinatown) had it that Klegmeir was taking bribes from Stanley Yee, a wealthy Chinese restaurateur who owned at least a dozen eating establishments in New York. Yee was allegedly making the payoffs to obtain green cards for his workers, nearly all of whom came from mainland China. The problem for us was that Ong had no proof.